If you love cookies, you are in for some magic. If you love coffee, you will surely get passionate about it. If you aren't a coffee lover (like me), you might want to try out more recipes with coffee brewed or not. Is a loved one suffering from gluten allergy? 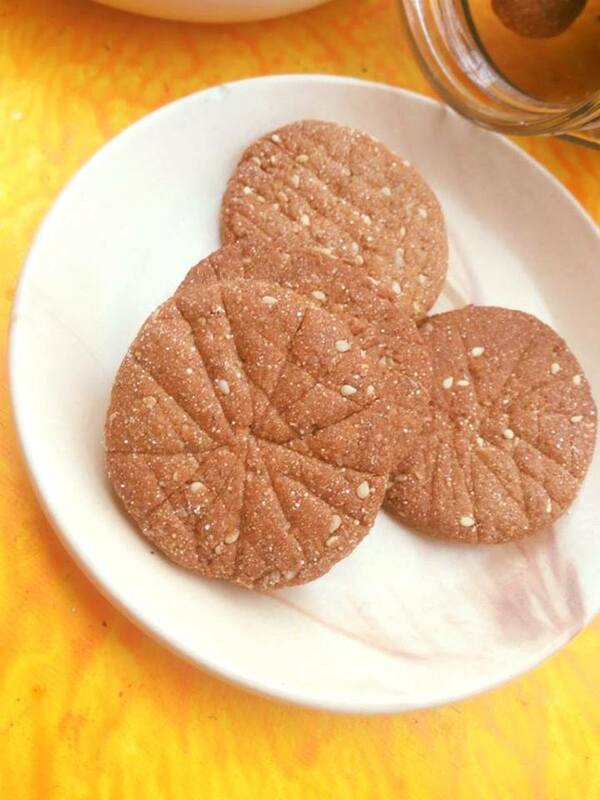 Then this cookie without baking powder soda recipe is for you! So are you ready friends? What's so special about this batch of gluten-free coffee cookies is that it is another addition to my baking without baking powder, soda, self-rising flour series. What's even more special is that these are perfect tea-time treats for a gluten sensitive loved one. So are these coffee cookies only for gluten intolerant people out there? In fact, all of us should indulge in some amount of millets too, for they are gluten-free and even healthier than whole grains. 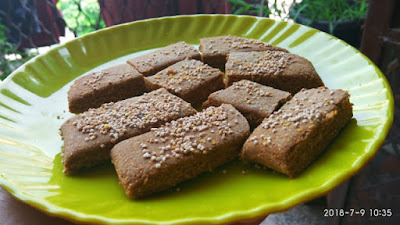 The amaranth cookies use brown rice flour.As some of my previous rice cookie and cake experiments have shown, brown rice makes for a yummy baked beauty. On top of it, brown rice is full of fiber, proteins, and nutrients. 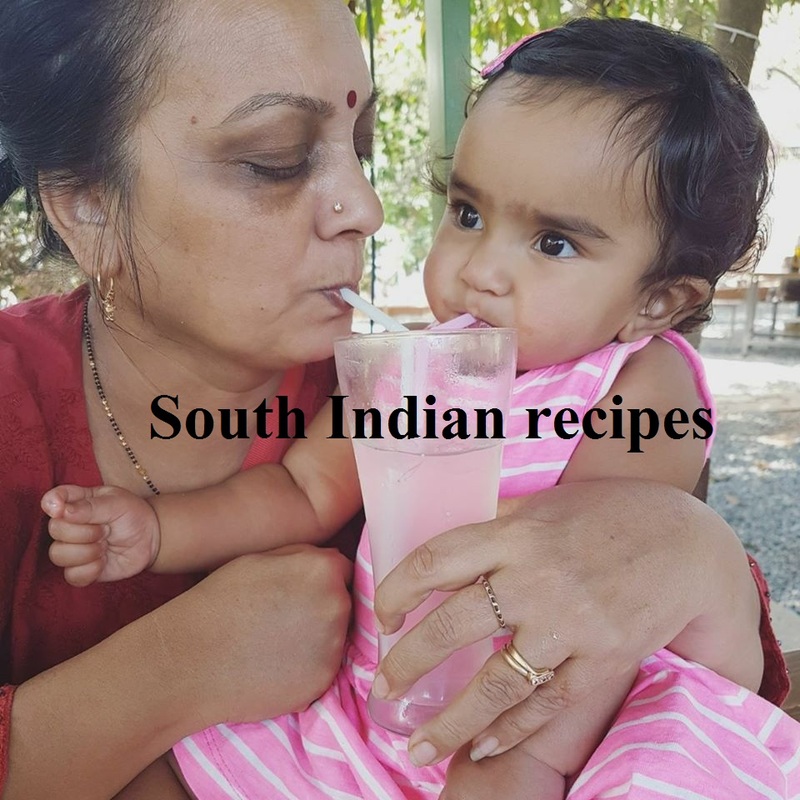 But if you can't find brown or black rice flour, you may either make it at home or substitute with plain rice flour (though it is primarily starch). 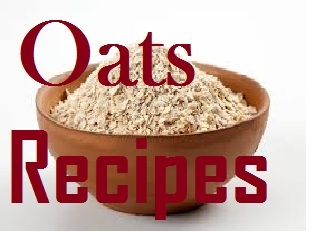 Bran - Have you heard that bran is the fiber-rich outermost layer of whole grain with a good amount of iron, zinc, copper, magnesium, and B vitamins? There is some amount of antioxidants in bran. You can buy bran separately to add an extra amount of fiber to your meals. 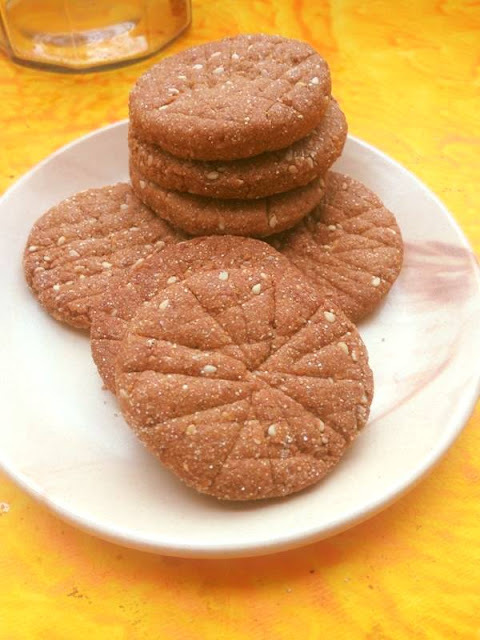 Nevertheless, amaranth cookies get their health tag from their abundance in nutrients. The earthy nutty flavored amaranth is packed with fiber, antioxidants, proteins, and micronutrients. What's more, it is gluten-free and an excellent source of iron. If you are low in hemoglobin, add amaranth to your daily diet, and you should be able to improve your blood count. Manganese is another mineral found profoundly in amaranth. So if you are facing memory concentration problems, make amaranth a part of your regular diet, and the manganese in this pseudocereal will play a role in improving your brain function. Antioxidants in amaranth protect you from harmful free radicals. There have been numerous discussions on how free radicals combine to make you vulnerable to cancer. So if you want to stay healthy with a strong immune system, focus on including millets and pseudocereals in your diet. I make my own amaranth flour often by sprouting the seeds first. 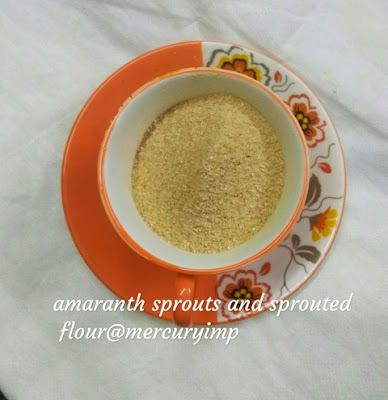 Here's a complete video on sprouting amaranth and turning it into amaranth powder/flour. I have made gluten-free amaranth granola bars that are packed with nutrients and free from refined sugar. Find the recipe here. 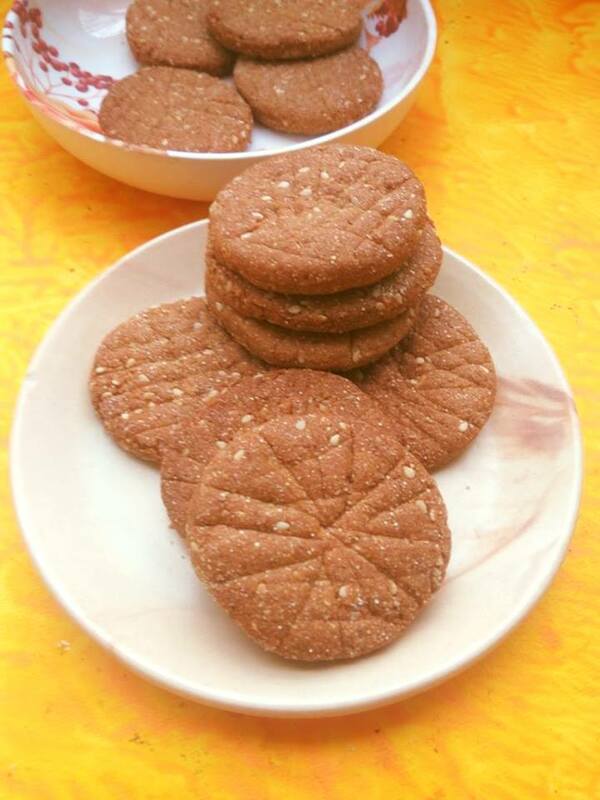 Let's come right into the coffee cookies recipe with amaranth and brown rice flour. Add hot water to coffee powder. Mix and keep aside. Whisk together ghee, oil, and sifted jaggery until everything turns pale and creamy. Next add coffee decoction and whisk for 1 minute. Stir in curd and whisk again. Throw in black salt and whisk for a few seconds. Sift brown rice flour and fold the batter. Sift amaranth flour in batches - fold and add. This will help keep your cookies light. DO NOT KEAD. It will be a loose dough. You never need to knead cookie dough from my eggless cookie recipes. Throw in sesame seeds. Mix. Set aside covered for 10 minutes. No need to refrigerate at this stage. After 10 minutes, autolysis should have worked and the flour should have absorbed some amount of liquids. Roll out into a thick chapati (2-3 times the thickness of chapati--should not be too thin nor too thick). Cut cookies into different shapes/designs. Place the coffee cookies unbaked on a floured tray and refrigerate for 30 minutes. Preheat the oven/convection/airfryer/otg for 10 minutes to 160 degrees. Airfryer can be preheated for 5 minutes alone. Bake/airfry coffee cookies for 16 minutes at 160 degrees. Temperature settings may vary. But remember, amaranth cooks really fast. So keep an eye on your amaranth cookies after 12 minutes. Allow coffee cookies gluten free to cool down properly before munching on these crunchy delights. Coming soon! 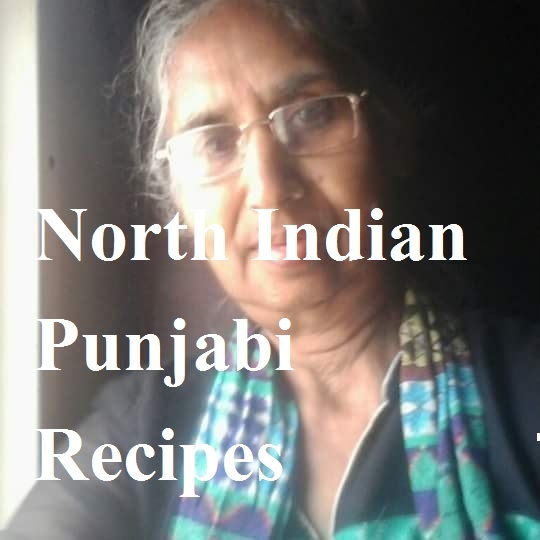 Cookie baking tips for baking without baking powder/soda series. Stay tuned, friends. 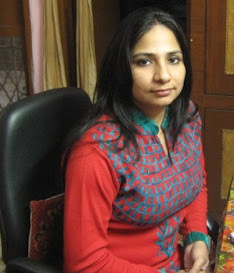 I will come with some cake recipes too without baking powder, soda, self-raising flour. I already have one on my blog. Do you have a passion for coffee? Are you a cookie lover? What if we combine both to make coffee cookies gluten-free without baking powder, soda, or self-rising flour. 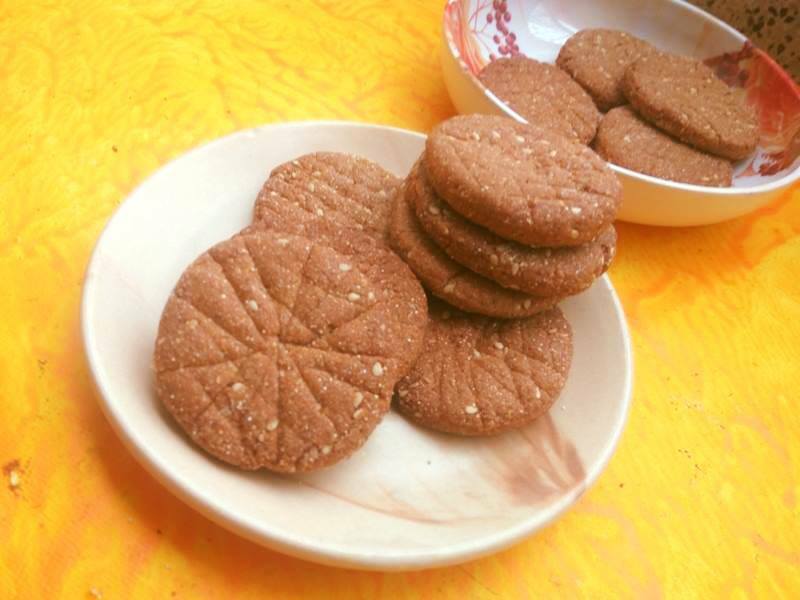 Crunchy amaranth cookies are here to be relished. Trust my words or dig into the recipe and video to learn it all about baking without baking powder/soda. Are you ready to give these crunchy coffee cookies a try?